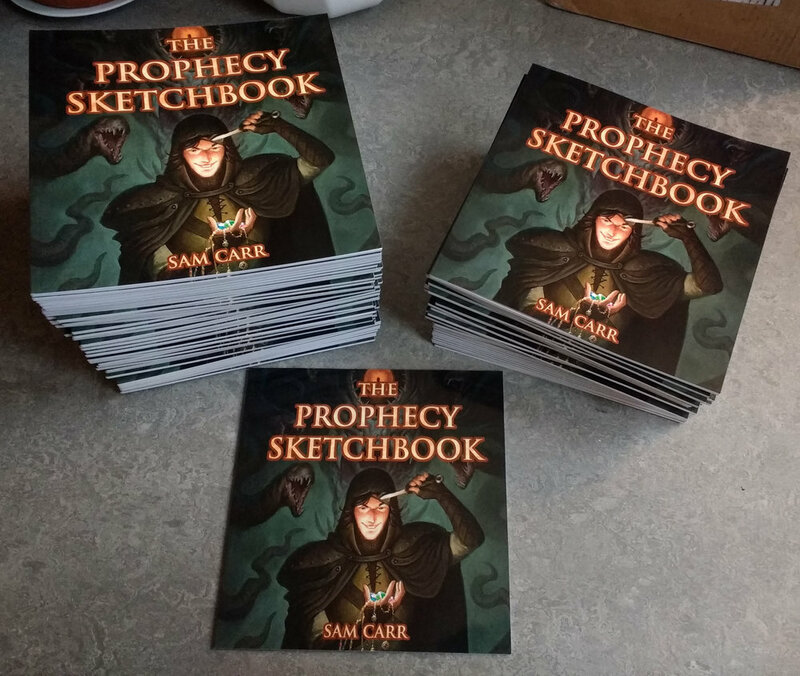 In May 2017, I ran a successful Kickstarter project for my book The Prophecy Sketchbook, and I wanted to talk about my experience. 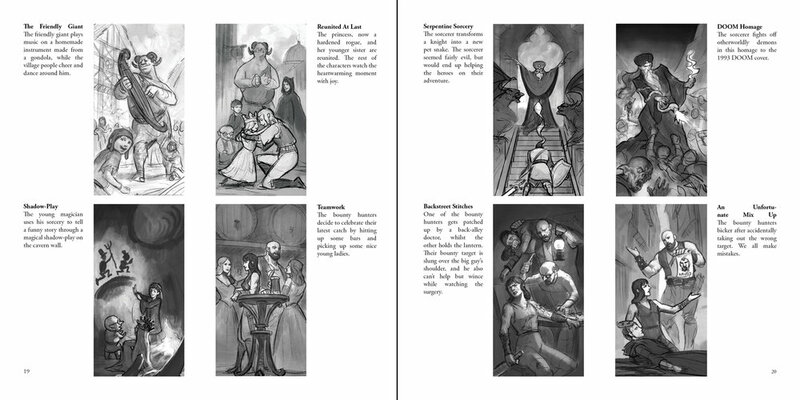 The book collected artwork from the year prior that I'd created for a tabletop RPG. I finished fulfilling the Kickstarter rewards a week ago, and people are currently receiving their books. I wanted to write down my thoughts on how it went and what I learned for next time. It's a lot of information, so I've split it into multiple posts. This might be boring or obvious stuff, but I think it could be helpful for artists looking to try Kickstarter for a small project. You either need to hire someone to design your book or learn to use a program like Scribus of Indesign. I'd never worked with book layout or graphic design before so I had to learn as I went. Making mistakes was very time consuming and would involve me going through the entire book to change stuff. Towards the end, I got to grips with some features of the program that make life easier, like using master page layouts. In hindsight, I should have hired someone to do this part. I would have saved a lot of time and it would have been a better end result. Use a spell checker! This might seem really obvious, but I'm not a smart man, and I'd edit most of the text on the fly in the layout editing program. Even after multiple people proof-read the book, running a spell-check turned up some appalling spelling mistakes. I was actually fixing some grammar errors up until the moment I ordered all of the books. It is amazing how much you miss when you're reading your own work. 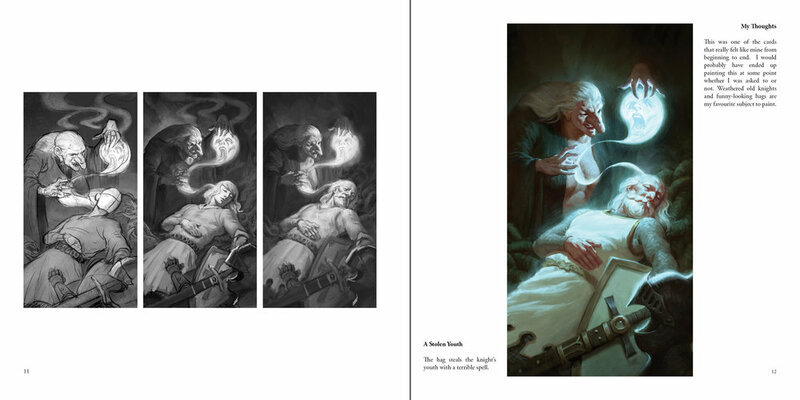 Running the Kickstarter was a huge eye-opener for me about the power of crowdfunding. I personally kept my campaign very basic because I didn't want to end up in over my head. My first tier was a £1 gratitude pledge with no reward, but it allows you to follow backer-only updates. I've heard mixed things about having a gratitude pledge. In my experience only one person used it, so I'm not sure how much value it has. 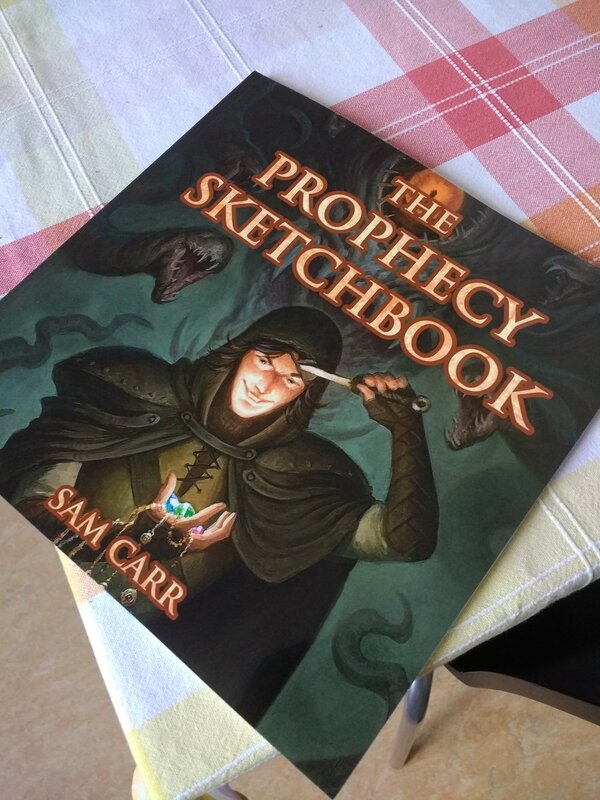 My second tier was a £15 'The Prophecy Sketchbook' pledge. You get the book with none of the other frills. My third tier was a £30 signed and numbered edition of the book, with an original pen drawing and a print of choice. This was the most popular option, which actually surprised me. I personally don't hold that much value in signed stuff, but other people do. The original drawings and a small print were affordable add-ons that have value to people. Some people have this Kickstarter business down to an art, and I learned a lot from seeing how they do things. There were a lot of lessons here, so I've broken them down in bullet points. The shipping money counts towards your total goal on Kickstarter. This seemed kind of counter-intuitive to me and I didn't realise until I had launched my project. I would have recalculated my overall goal had I known this. Build up a following around your book some months before you launch it on Kickstarter. This gives you plenty of time to build hype before your launch. Look at the 'Projects We Love' chosen by Kickstarter and figure out what they have in common. Make sure you actually post your Project Updates. There are two steps to posting an update, and it's easy to think you've posted your update online when it's still sitting in preview. I did this an embarrassing amount of times. 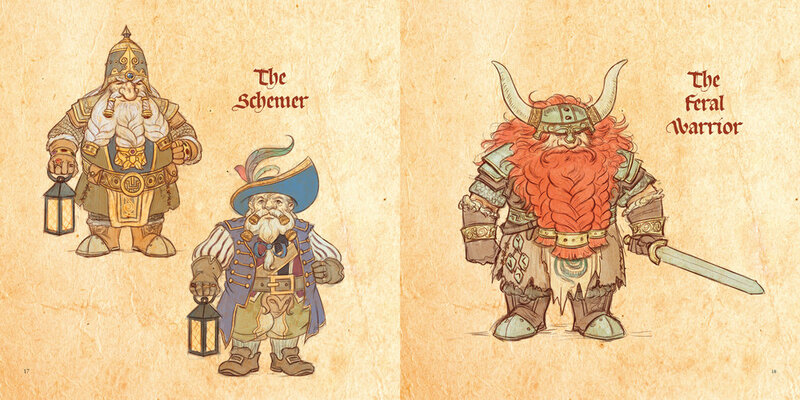 Consider using Backer Kit for your project. Kickstarter is pretty lousy for collecting info from your backers. I found that I wasn't able to show pictures of the print options that were available when I was collecting information. This seems like a really worthwhile tool. Have high-end pledges available for people who want to pay more. There are people out there who want to spend a lot of money, and they can help fund most of your project. Even if it seems unlikely to you, have high-end pledges just in case. Show yourself and your art. Backers aren't just supporting your project, they're supporting you. It's important that you make yourself visible, even if it makes you self-conscious. Respond to people's comments. I could see a direct correlation between interacting with people who were interested in the book, and them actually backing the project. Offer options for multiple copies. I had a bunch of people asking how to order 2 copies and Kickstarter doesn't allow for that unless you set up a pledge for it. People will cancel their pledges, especially towards the end of the campaign. There are a small group of people who back hundreds of projects at a time and cancel at the last minute on all of them. I don't really know why they do this. Towards the last days I was losing almost as many backers as I was gaining. One of the biggest lessons from the Kickstarter was to be as big a fan of others as you'd like them to be for you. A lot of the people who supported my project were people I interact with, people I've worked with/for, and people whose art I've supported and am enthusiastic about. Its a two-way relationship, and a bit of sincerity goes a long way. To be continued in part 2, where I'll go over my chaotic experience with printing the book!